Once, the Turkish town of Kayaoy boasted a bustling Greek Orthodox population of traders and harvesters. Today it is crumbling and desolate. What happened there? 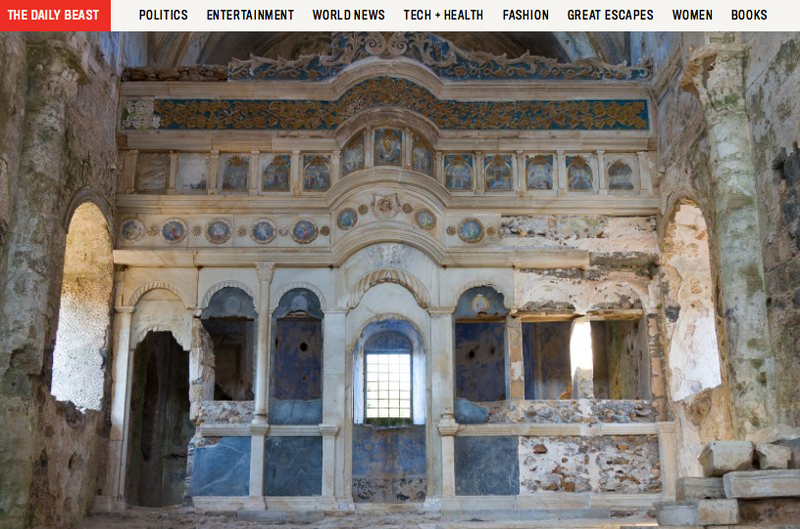 A few miles inland from the southwestern coast of Turkey, a town called Kayakoy remains in ruins, a stones throw from Rhodes and long ferry ride across the Aegean from Athens. Ninety years ago, in a sweeping ethnic and religious cleansing, its long-time Greek inhabitants were uprooted and moved out of Turkey. They left behind a picturesque Anatolian village of once-grand churches, squares, and water fountains, all piled onto the hillside of the Taurus Mountains. Once, its Greek Orthodox residents worked as small traders and harvesters of fruits, wines, and jams, all the while lived side-by-side with their Muslim Turkish neighbors. But today, the 350 stone abodes are crumbling and desolate. The roofless houses make for a pockmarked cityscape, but still boast their original stone hearths, storage cellars, latrines, and cisterns to collect rain water. Where did everyone go?